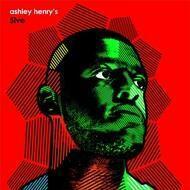 Ashley is one of a new generation of musicians that have been raised with a wide range of influences, from such luminaries such as Kirkland, Glasper Moran, Madlib and Dilla, yet also steeped in the traditional sounds of masters like Hancock and Monk. At only 24, Ashley plays the piano with a beauty and sensitivity that usually comes from a lifetime immersed in jazz. We first met Ashley at a jazz re:freshed session in March 2015, where he had come to see his fellow trio mates Sam Gardner and Sam Vickery play. Only a few months later, Ashley himself graced the jazz re:freshed stage and by the end of that session, we knew we had trio record this monster of a talent.